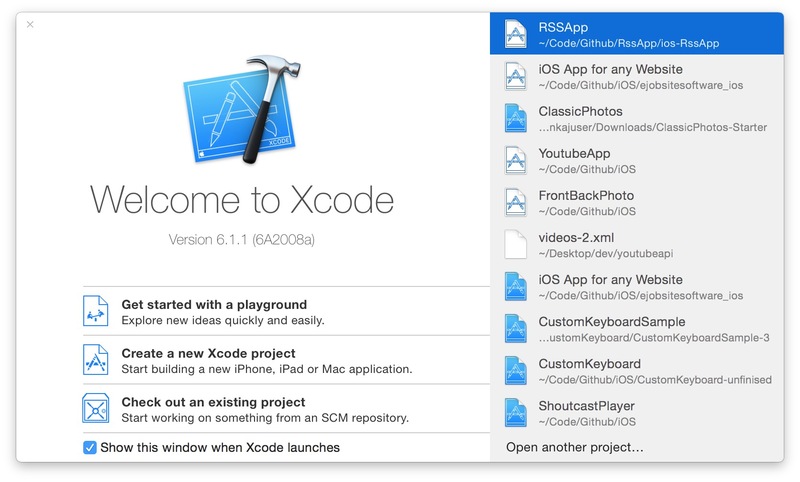 Open Xcode and a welcome screen will come. Click “Create a new project”. You will be prompted to choose a project template. 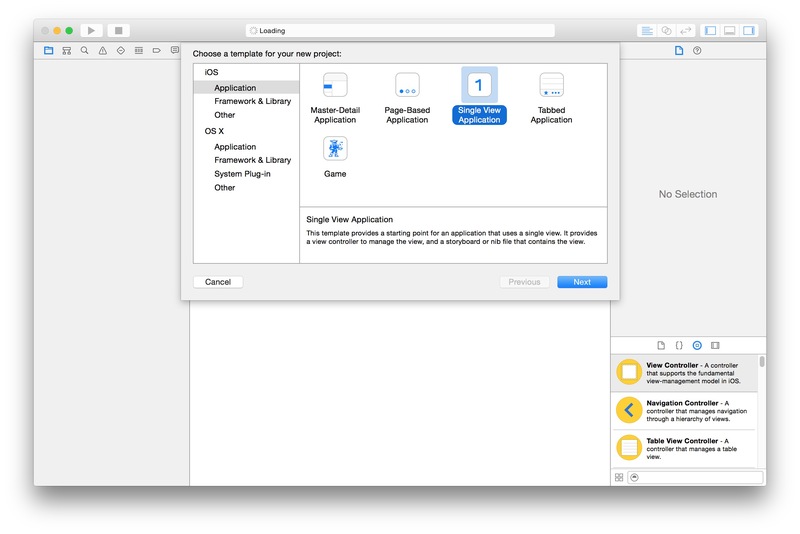 Then choose Single View Application and hit next. 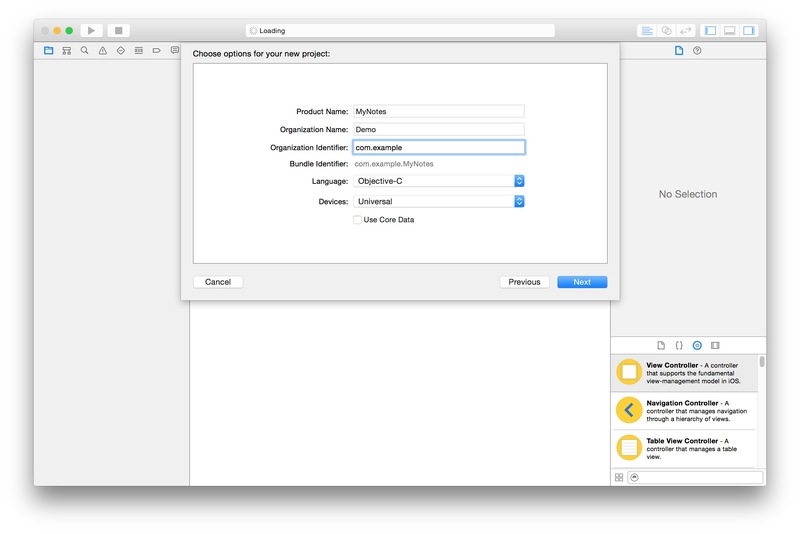 Options in this screen may differ in other versions of Xcode but Single View Application will always be there. There are different types of project templates. All provide some boilerplate code for a specific type of application. 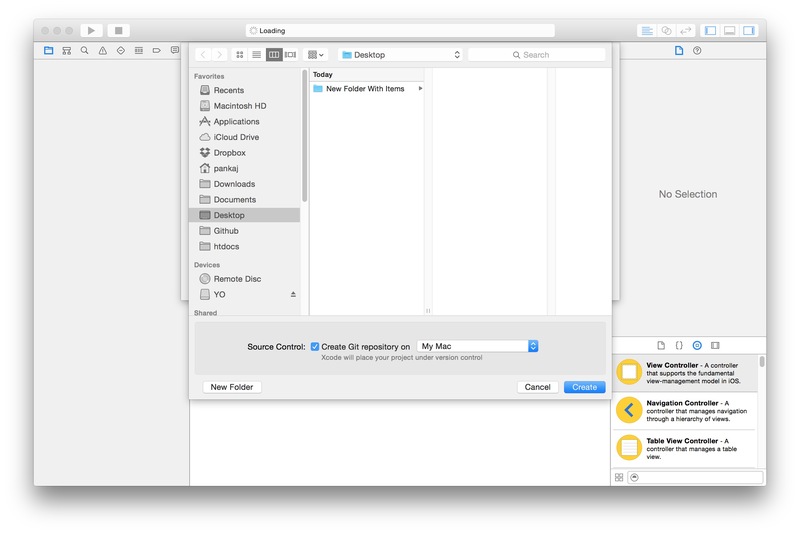 Single view application provides starting code for a single blank page which is best here for simplicity. Next screen asks for some information like Project name, organization name, fill it ith your choice or follow according to the screenshot below. Language field should be Objective C and devices field should be Universal. Use Core Data should be unchecked. Click next. Then choose the locations where you want to save your project. Leave the Create Git repository field checked. You’ll see project opens with project settings.